During the wet but not-too-cold Spring and Fall months a rider needs a lightweight suit that’ll keep him dry without overheating. Spidi’s Ventamax H2Out jacket fits the bill nicely, as does the company’s Thunder H2Out pants. 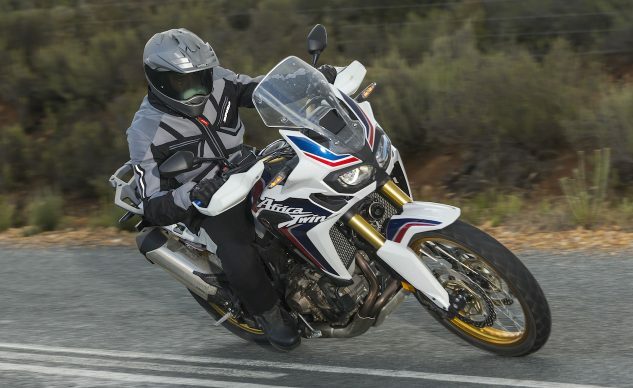 Both have removable rain liners and removable body armor (some of which is optional), and both can be worn in a variety of riding situations and weather conditions. Pricing is marginally steeper than we’d like for this ensemble – better if the armor was included and not optional – but the apparel performs to its job parameters well, and both the jacket and pants are plucked from the MO closet often, proving their popularity. The Ventamax H2Out jacket without the rain liner weighs two pounds; with the rain liner 2.6 pounds, and with both the rain liner and optional Warrior Evo back protector ($109.90) 3.8 pounds. You can add the Thermo Liner ($69.90) but we weren’t looking for warmth and didn’t test it. The Thunder H2Out pants also comes with a removable rain liner as well as removable Forcetech knee protectors (Forcetech hip protectors are optional, $14.90). Together the pants, liner and both knee and hip protectors weigh 2.7 pounds, bringing the grand total weight of everything to 6.5 pounds. Pretty darn light for a two-piece suit with armor. 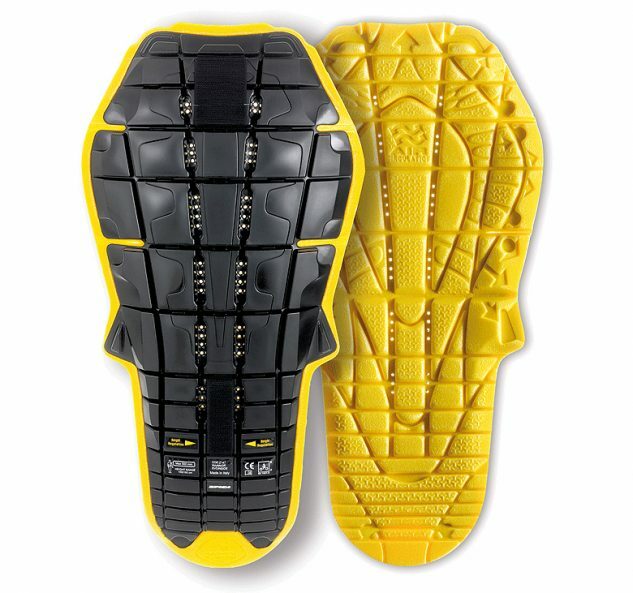 The optional Warrior Evo back protector meets EN level 2 standards, and costs 109.90. It’s designed to be worn inside a lot of Spidi jackets, so you may only need purchase one if you own other Spidi items. The velcro attachments provides some longitudinal adjustability. With the liner inserted the outside of the jacket is obviously getting wet and absorbing some water weight in a rainstorm, but the insert will repel the majority of rain. There’s no included hood, and the jacket does not attach to the pants so there’s always a chance of leakage, especially during a prolonged downpour. If you’re desiring absolute dryness, look elsewhere. The H2Out jacket is designed for mildly rainy conditions with the option to easily remove the light rain liner, instantly converting the jacket into a something comfortable and protective when temperatures and humidity begin climbing following a shower. 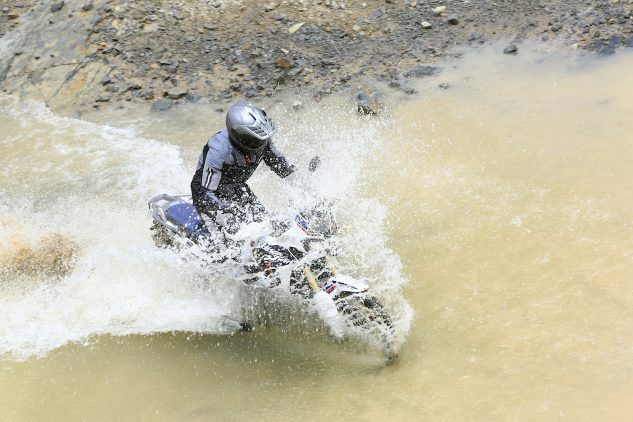 The rain liner can be worn by itself if staying dry when off the motorcycle is required. The jacket features velcro straps at the biceps and waist to keep it from flapping at freeway speeds. There are two exterior zippered chest pockets, two exterior hip pockets, and one interior chest pocket. Items in these pockets will get wet. The rain liner’s interior has a single pocket large enough for keeping a cellphone and/or wallet dry. 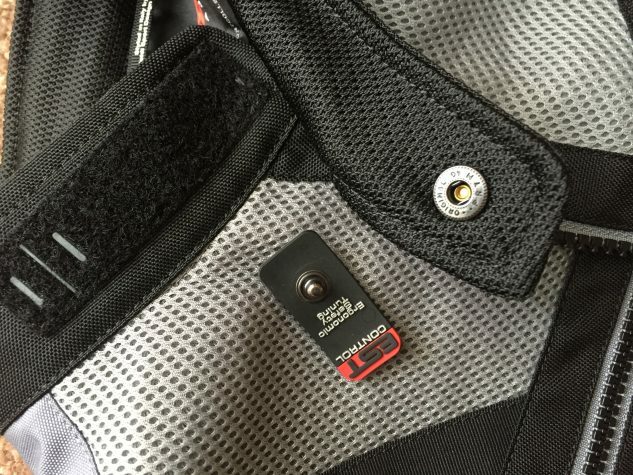 A design flaw with the Ventamax H2Out is the snap-on velcro closure. When pulled it can unsnap leaving the velcro piece affixed to the other side of the collar. Why Spidi didn’t directly attach it to the left-side collar is a mystery. For comfort and to keep from sticking to your skin, the jacket features a full mesh interior while the rain liner sports mesh in the arms and upper torso areas. Spidi says the Ventamax is 50% mesh, meaning it doesn’t flow as much air as a 100% mesh jacket but should provide more abrasion protection via its use of high-tenacity polyester fabric. Sizing for the Ventamax H2Out is purely Italian. The XXL I’ve been wearing fits great, however, I’m normally a size Medium (size Large occasionally) with other apparel companies. Sizes range from Medium to 3XL, meaning, by American sizing standards the 3XL is actually a Large, and if you normally wear something bigger than that you’re SOL. The Thunder H2Out pants are also of the tight-fitting variety. The pair I received are actually Mediums, and while snug do fit rather nicely without binding or riding unnecessarily high up my boots. Removing the optional hip protectors loosens things up a bit, but I prefer to keep them in place. The bottom back of the pants feature a zippered and snap closure arrangement that helps getting into and out of the pants. The Thunder H2Out pants come in size Small – 3XL providing a wider variety of sizing compared to the Ventamax H2Out jacket. We recommend trying both items on for size prior to purchasing. Both the pants and the rain liner feature a mesh liner to keep the apparel from sticking to your skin when sweating. Like the pants the rain liner has velcro and snap enclosures at the bottom of the pant legs, in addition to elastic around the bottom cuff for keeping water from splashing up inside of the liner. The pants have two non-closable hip pockets, and two thigh vents for circulating air on hot days. What I like most about the H2Out ensemble is its versatility. I’ve worn it in a variety of weather conditions with no real complaints in relation to its design parameters (it’s not made for monsoons, snowstorms or heat waves). Secondly, I love its light weight. A lot of riding gear can try to do too many things which increases weight and complexity. The Ventamax H2Out jacket retails for $379.90, the Thunder H2Out pants for $299.90. Include the Warrior Evo back protector ($109.90), and optional hip protectors ($14.90), and you’re spending a total of $803.70. Even with the $69.90 Thermo liner the price still comes in under $900.00. You can purchase or read more about the Ventamax H2Out jacket, and Thunder H2Out pants here and here. 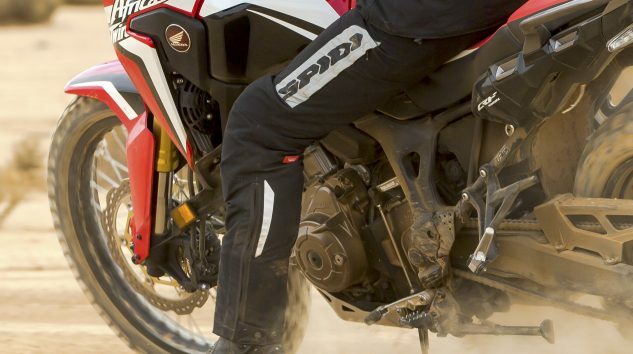 See Spidi’s entire collection of moto gear here.